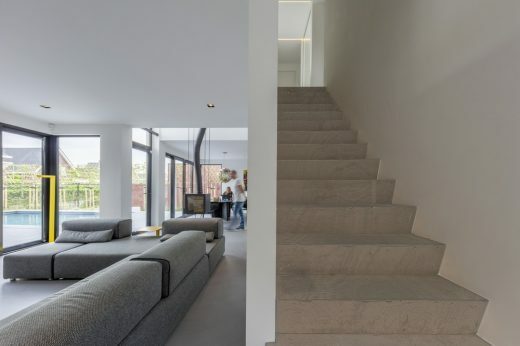 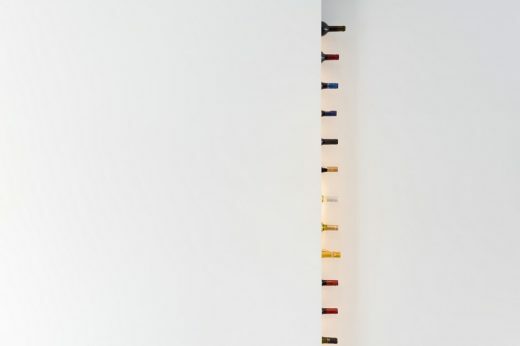 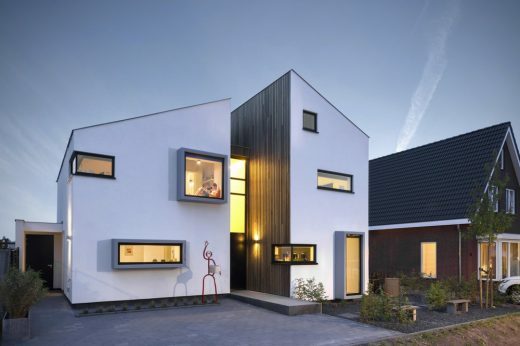 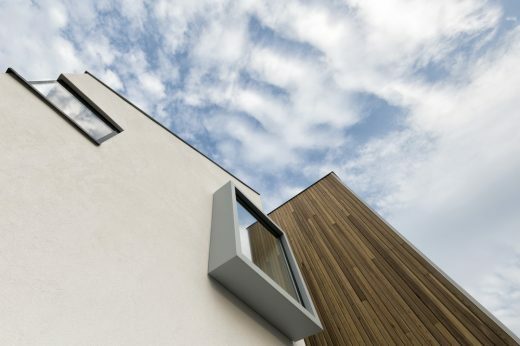 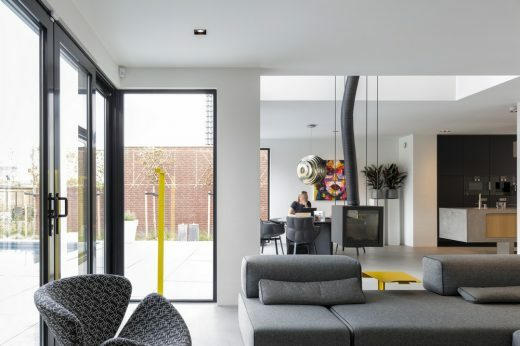 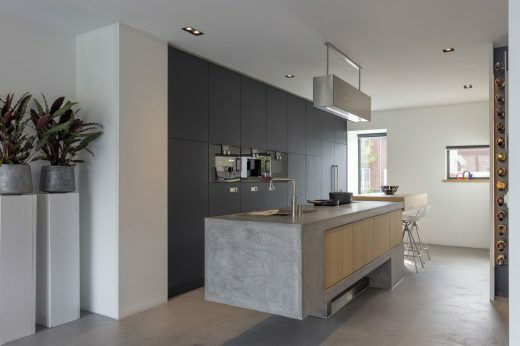 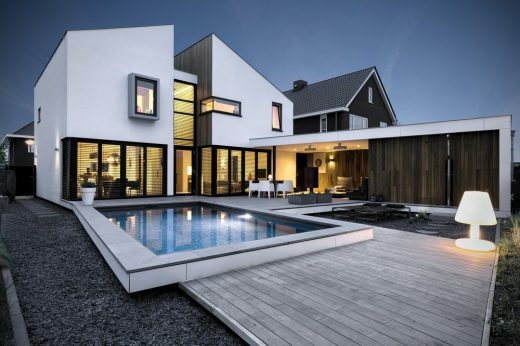 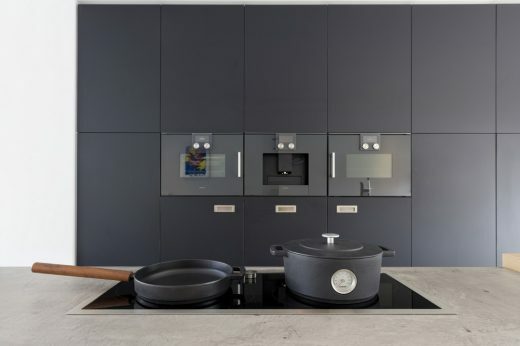 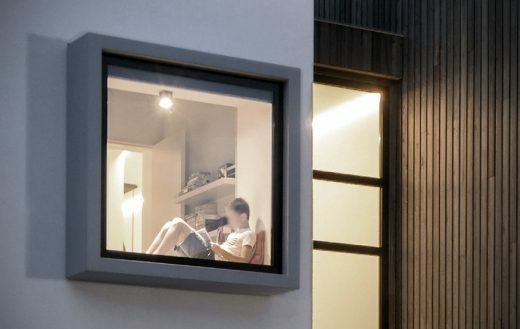 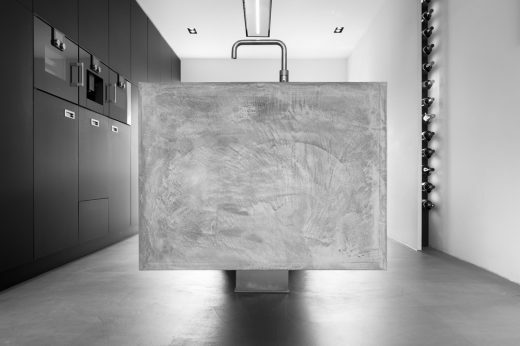 Dutch design office zone zuid architecten recently completed a new home in one of the suburbs of Roosendaal. 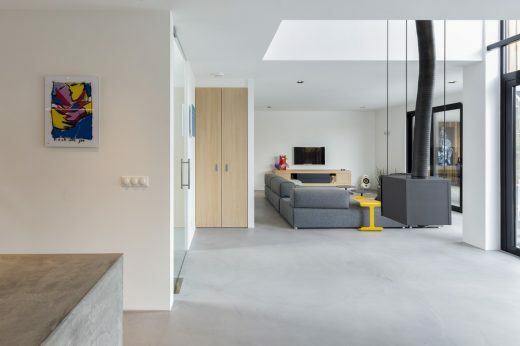 The 225 sqm house is designed as a deconstruction of a traditional Dutch house silhouette, several floors for living with a gable roof. 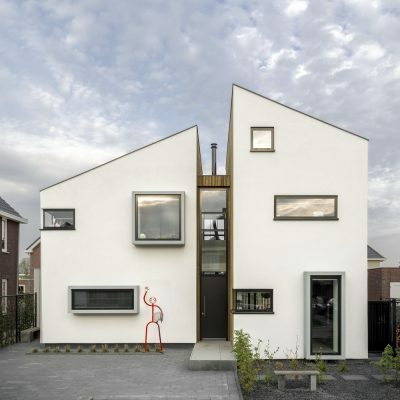 Gido van Zon (1981, Roosendaal, Netherlands) Architect and owner of zone zuid architecten.